No commission on any order…ever! Send instant offers on customers mobiles. Offer collection and delivery. Disable options when you are busy. Customers can collect rewards and redeem coupons on the app. 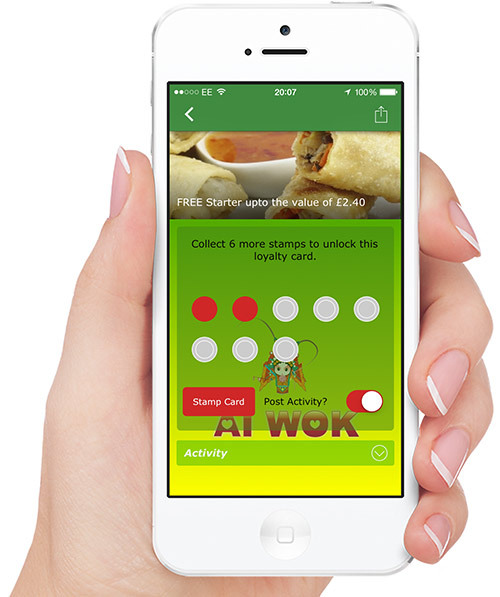 Reward customers with loyalty points and offer in app coupons. Allow customers to conveniently browse your latest menu. 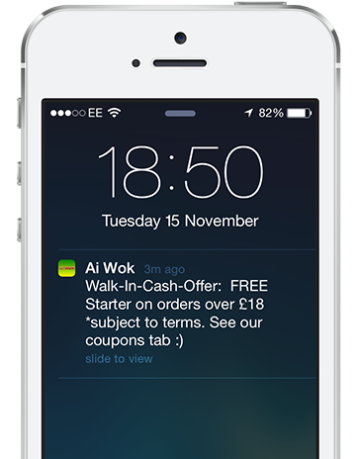 "Push Notifications are an amazing way to promote your business"
We are proud to have produced an app for the best Chinese takeaway in Nottingham. To support the launch of the app, we also produced a custom website for the client to ensure the app’s success. With over 25 features to choose from and new ones under development, we are confident our app solution will remain future proof. Our platform allows the staff to update the app securely via any web browser. It’s packed with so many advanced features, we recommend you download the app and try it for yourself. 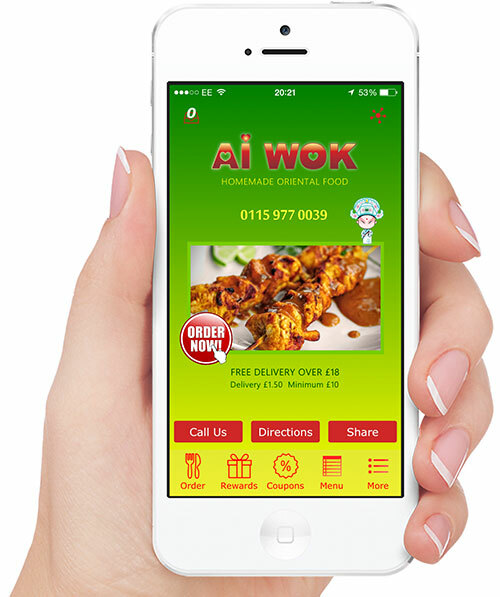 Ai Wok deliver within a 2 mile radius. Delicious food!! If the previewer crashes, simply refresh your web browser. Optimised for Chrome and Firefox. 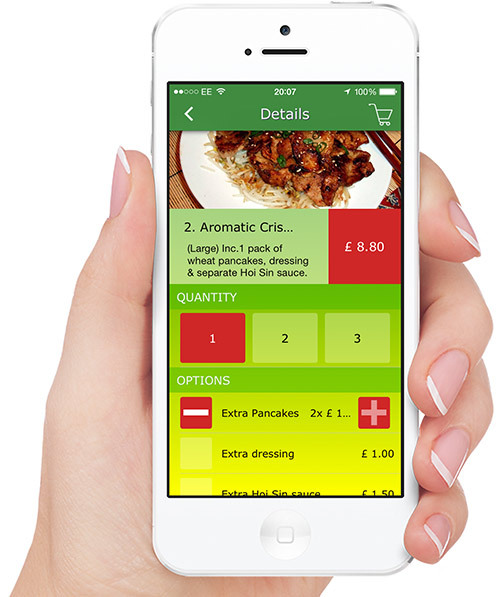 Zero 0% commission ordering solution exclusively for takeaways that will save you money by significantly reducing commission bills. 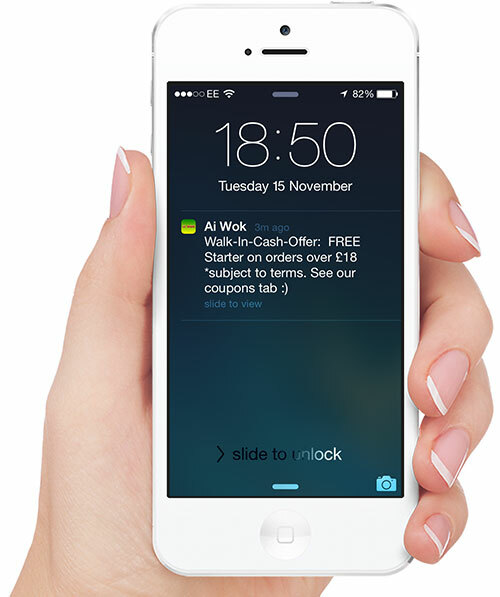 Send instant offers direct to your customers mobile phone with last minute deals. Great for those slow days. Allow you to communicate directly with your customers and offer rewards, offers and loyalty points. Customers can browse your menu with ease and still make a call. Integrate your social media channels under one messaging system.